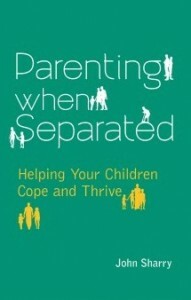 Based on research into what is best parenting practice during a separation, Parenting When Separated by John Sharry offers practical advice on how parents can help themselves and their children during this difficult time. It aims to build on parenting strengths, giving suggestions on how parents can improve their own and their children’s coping. Drawing on Dr Sharry’s popular and influential columns in The Irish Times, the book now also contains an extensive question and answer section addressing the many concerns for parents who are going through a relationship breakdown.